It’s challenge time with the “Crazies” over on the Crazy 4 Challenges blog. Kathleen Adams our challenge hostess for the month, continues to issue the challenge. It's Valentine's Day on Thursday, so for our challenge this week Kathleen has asked us to create a Valentine's Day card. 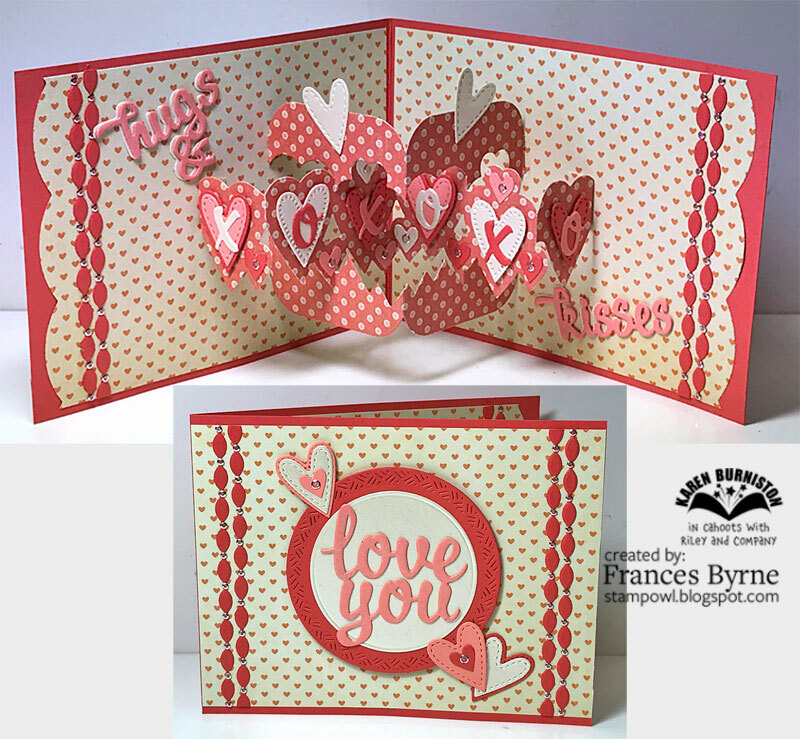 For my card this week I used Karen Burniston's new Heart Pivot Panels die set that was released last month. 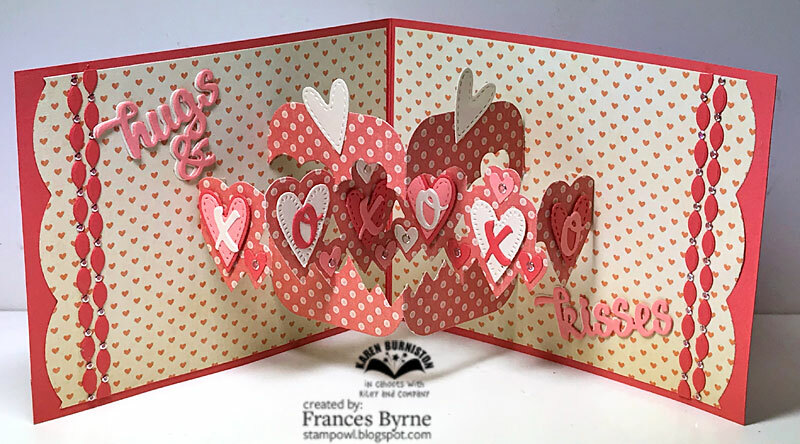 I used the new borders from the Border Blends - Party die set to add the decorative edge to the edges of the card and also for the borders next to the edge. To decorate the hearts and the sentiments I used the new Words Set 9 - Love die set. To decorate the front of the card I again used the Border Blends - Party and Word Set 9 - Love die sets. 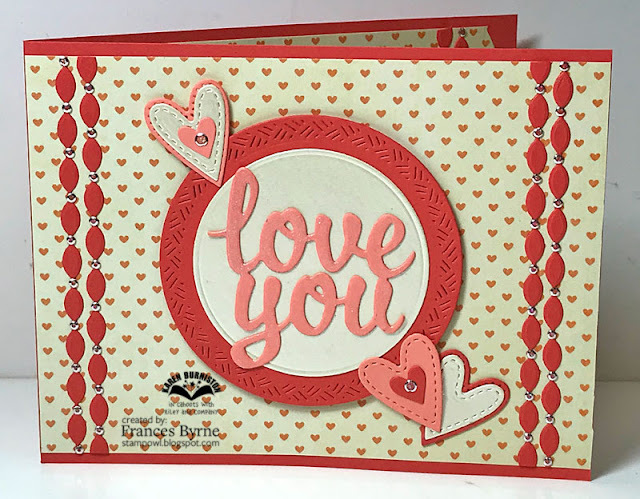 I also used the Crosshatch Circles die set.